The A.M. Qattan Foundation (AMQF) is an independent, not-for-profit developmental organisation working in the fields of culture and education. 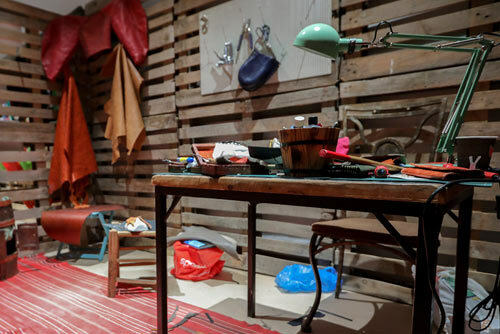 The exhibition combines five elements of artmaking: artist, studio space, process of artmaking, artistic product and the audience’s experience. 23 March - 31 May 2019. Curator: Yazid Anani. Young Artist of the Year Award. 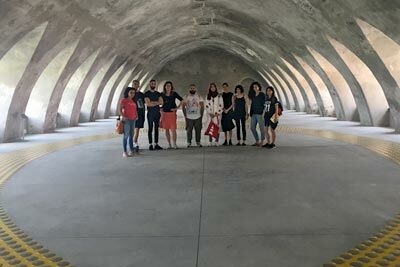 AMQF's program to support Palestinian artists. Exhibition of the awardees and shortlisted artists. 6 Nov. - 27 Dec. 2018, Ramallah. Curator: Emily Jacir. Inaugural exhibition of AMQF's new building in Ramallah, 28 June - 29 Sept. 2018. Curator: Yazid Anani. 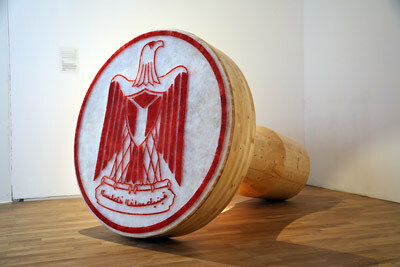 Assistant Curators: Abed al-Rahman Shabaneh, Aline Khoury. More than 60 participants. The A.M. Qattan Foundation (AMQF) is an independent institution, working in the knowledge and creativity sectors, using an integrative approach and targeting a variety of social groups, particularly children, teachers and young artists. It seeks to empower free individuals within a dynamic Palestinian and Arab culture, through a long-term, participatory developmental ethos. This is achieved through programmes that foster critical thinking, research, creativity and the production of knowledge, and that aim to provide inspiring models of giving, transparency and excellence. 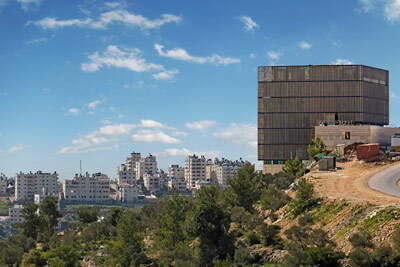 Founded and registered in 1993 in the UK, with a registered branch in Palestine as a non-profit organisation since 1998, the Foundation’s operations are mainly in Palestine, with interventions in Lebanon through Selat: Links Through the Arts, and in the United Kingdom through The Mosaic Rooms. Vision: A just, free, enlightened, and tolerant society with an active global presence, one that embraces dialogue and produces knowledge, art and literature. 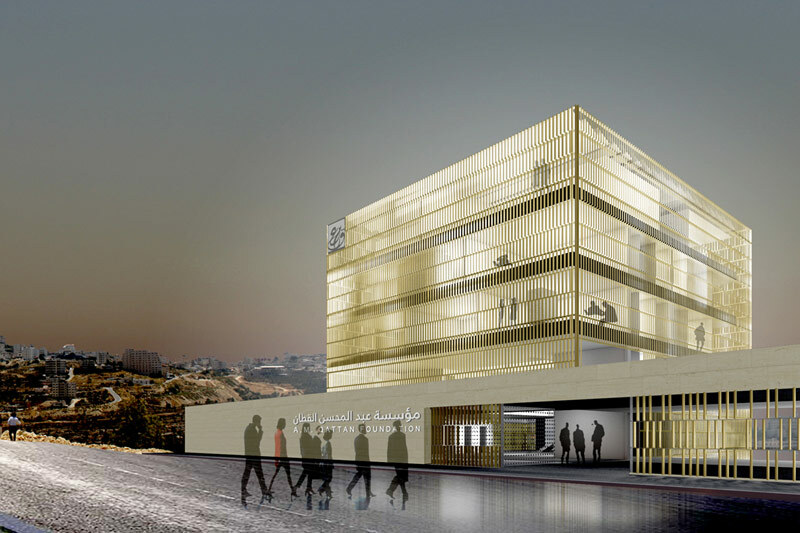 The A.M. Qattan Foundation's new building in Ramallah, inaugurated in June 2018, houses its administrative and programmatic operations, and serves as a multi-facetted cultural venue. From press information. © Images: Donaire Arquitectos. Courtesy of A.M. Qattan Foundation.